In March 2018, the government released a call for evidence asking for input on whether changes could be made to the VAT threshold in order to incentivise growth for businesses. The call for evidence closed on 5 June 2018 and the government is currently reviewing the responses that it received. In the coming months, the results of the consultation should be released to the general public and small businesses will be keen to hear as soon as possible what, if any, changes are likely to come. The purpose of the call for evidence is summarised below, along with the measures proposed and how they could impact small businesses if adopted. Why was there a call for evidence? Consideration of whether the VAT threshold should be changed stems back to December 2016, when the Office of Tax Simplification (OTS) was tasked with examining the implications of either increasing or lowering the VAT registration threshold. This included consideration of what kind of impact such changes could have. 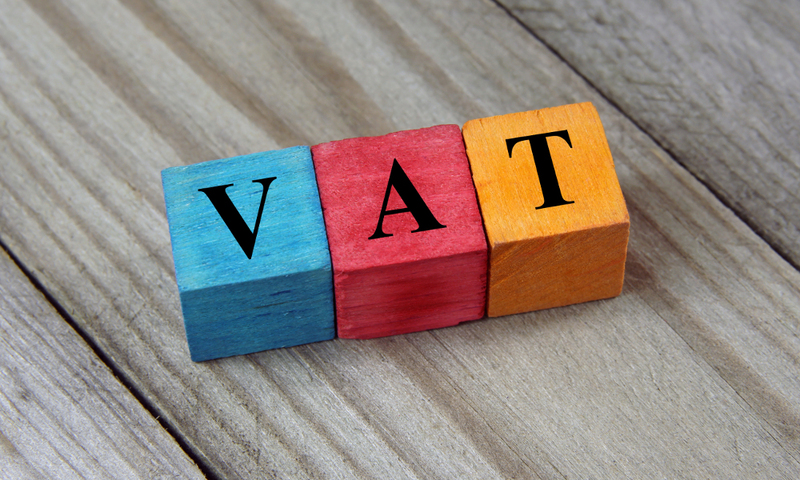 In November 2017 the OTS reported their findings, arguing that the relatively high VAT registration threshold has an adverse effect on business’ growth. This is because some businesses close to the threshold appear to deliberately keep their turnover below the registration threshold, thereby impeding further growth. What possible solutions could be implemented to address those issues. It’s worth noting that, while this consultation is in process, the VAT registration threshold is set to remain at the rate of £85,000 from April 2018 to April 2020. What measures have been suggested? Broadly, the call for evidence proposes three different approaches which could be used to incentivise business growth with respect to the VAT registration threshold. However, the call for evidence also states that, inevitably, some discussion of the level of the threshold (i.e. that it could rise or fall) should also be expected as part of the proposals, so it seems the government hasn’t ruled out a reduction to the threshold itself. Of the three primary proposals, the first is the EU SME proposal. It suggests that simplification measures could be put in place for certain businesses and that a smoothing mechanism could also be introduced. A crucial part of the EU SME proposal is that, as part of the smoothing mechanism, businesses could exceed the VAT registration threshold by 50% for a year without having to register. Apply the taxable turnover test for VAT registration over a period of two years rather than one. This would mean, if implemented, that the registration threshold would be based on whether a business has a taxable turnover of £170,000 over a two year period, rather than the current £85,000 limit for a twelve month period. The third and final proposal relates to financial smoothing, which seeks feedback on how international tax regimes, or proposed measures, could help to relieve the VAT burden that can be faced by businesses new to the regime. One example of how financial smoothing could be applied is setting different registration thresholds across different industries. Furthermore, it’s worth considering the timing of this call for evidence and its proposals in the context of the wider European question. The UK’s exit from the European Union next year would allow the UK much greater freedom with respect to its VAT laws. As such, it is perhaps unsurprising that, in the wake of Brexit, different approaches to the VAT registration threshold have been suggested. How could such changes impact small businesses? There has been a mixed response to the consultation based on some of the responses published by various organisations and bodies. Some organisations, such as Moore Stephens, have praised the government’s pro-activeness in addressing issues with the current VAT registration threshold. Other bodies believe that even a lowering of the current threshold may be beneficial, particularly from the Treasury’s perspective, as it currently loses an estimated £2.1 billion per year on having the registration threshold as high as it is. Certain organisations, on the other hand, have been a bit more cautious in their responses. The Low Incomes Tax Reform Group (LITRG), an initiative of the Chartered Institute of Taxation, has argued that, while they support the review that the government is undertaking in respect of the VAT threshold, they would prefer further focus to be on the smoothing mechanisms discussed in the call for evidence, and that focus on this area should be particularly pronounced should the government decide to lower the VAT threshold. Further, the LITRG make the point that, given that the Making Tax Digital for VAT project is set to come into effect from 1 April 2019, and given the UK’s impending exit from the European Union, making any further significant changes to the UK’s VAT system at this time could further muddy the waters for businesses, who already have a lot of changes to cope with. Ultimately, while the Chancellor may have said that he is not minded to lower the VAT registration threshold, given the cost of the current threshold to the Treasury, it seems unlikely that the government would ever rule out such a reduction. While such developments may be cause for concern for some small businesses, particularly those that are currently close to the VAT registration threshold, the key thing to note is that none of the above proposals are concrete at this stage. Consultations generally take some time to progress, and as such small businesses and industry bodies will have ample opportunity to have their voice heard on how any proposals to changes to the VAT registration threshold would impact them. In the coming months, the government will release the outcome of the call for evidence. This should be available for download on the HMRC website, where you can also read the call for evidence in full. Otherwise, for now, the best course of action for concerned businesses is to try and keep on top of any developments in this area, and consult with their local accountant or tax lawyer if they would like further advice.